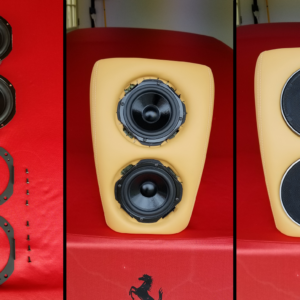 This is the ultimate subwoofer system for the Ferrari 348. These enclosures hold four monstrous JL Audio 6W3v3 subwoofers. 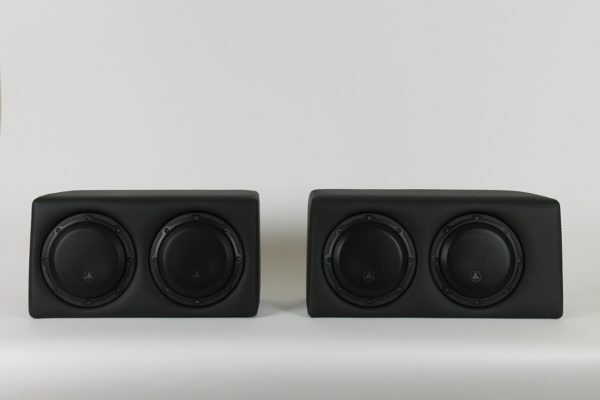 JL Audio makes the only "true" 6 1/2" subwoofer. 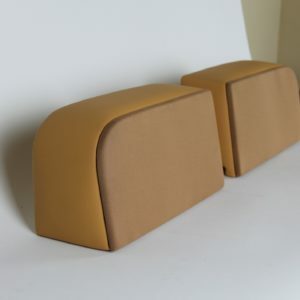 These are CNC manufactured for a perfect fit. 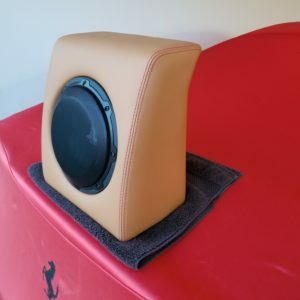 Secured to the firewall in the same manner as the Ferrari OEM "Hi-Fi" optioned subwoofer enclosure for the 430 and 360 models. With sufficient amplification, this system will produce some serious sound pressure! Wrapped in gorgeous OEM Ferrari leather and stitching. OEM Super Hi-Fi Upgrade System 2.0 for 430 Coupe, Scuderia, Modena and Challenge Stradale. 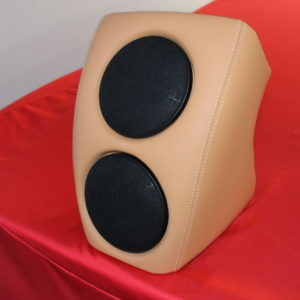 400 Watt OEM Super Hi-Fi Upgrade System for 430 Coupe, Scuderia, Modena and Challenge Stradale.